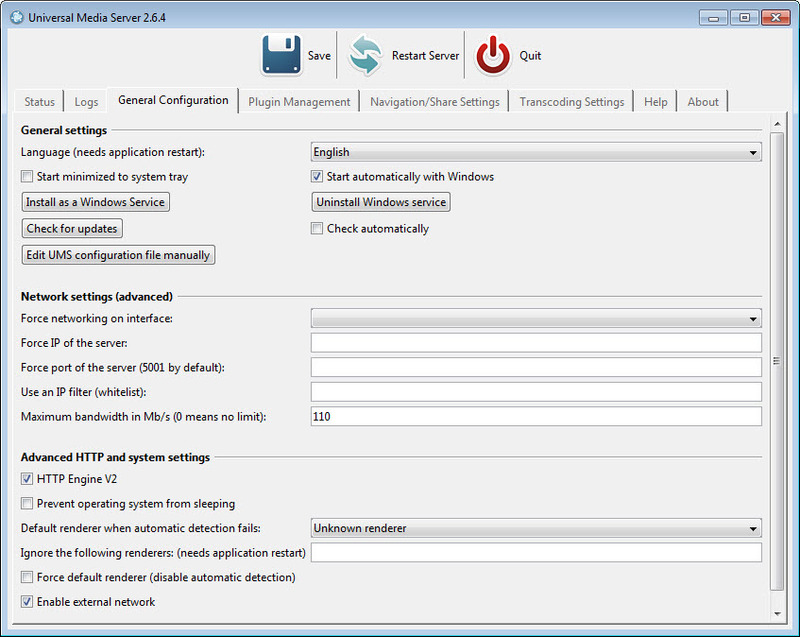 Universal Media Server runs on a DLNA compliant UPnP engine. It is compatible with a wide variety of media devices, from Apple iPhone and Samsung televisions to Sony Blu-Ray players and Xbox 360. Little to none configuration is needed to make use of this media server. It supports a wide list of media formats, being powered by MEncoder, FFmpeg, MediaInfo, AviSynth and tsMuxeR. 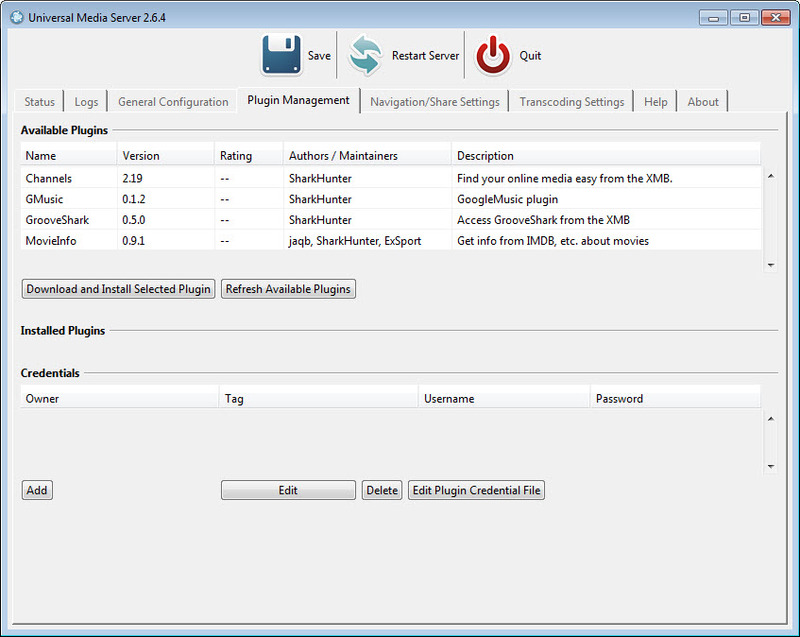 The Plug-in Management page gives access to more channels, Google music, GrooveShark, and IMDB info. To add other plug-ins, you need to download .jar files and copy them into the plug-ins directory. Last.fm integration, a shutdown feature, subsonic browsing, MythTV and plenty other features can be added with this plug-ins.